Tired of being behind on tasks in your business? A Xerox Smart Multifunction Printer is the answer to getting you ahead on your tasks and helping you take on more tasks. This will help your business grow at the rate you are desiring. You can think of the MFP as your smart office assistant. This smart device is a new generation of app-powered features. Your Small business needs a smart printer and the features that a Xerox Multifunction Printer provides for you. You no longer have to worry about emailing a file from your phone to your one computer that’s connected to your printer, with these copiers you can easily print and copy from anywhere in your office. 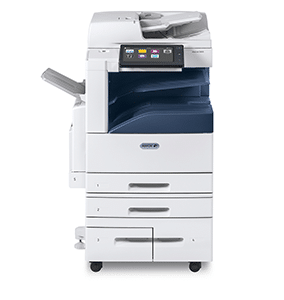 Xerox has a great collection of MFP’s that will be a great addition to your business.